I'm more disturbed by his resemblance to Pauly Shore. ^ LOL. Yeah I never thought about that, he does look like Pauly Shore. If anyone can hold onto his job while being exposed for all this, it's him. I wouldn't bet on it but it wouldn't surprise me. Well, we all know men are dogs. In this case, a Wiener dog. I will be glad when this whole incident is over. The "weiner jokes" are wearing pretty thin. 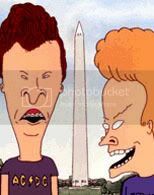 David Vitter is like "who's Weiner? 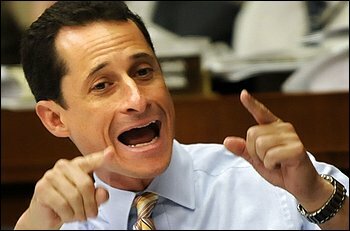 hahaha"
There's a hot rumor that Weiner may team up with disgruntled Obama cabinet secretary Erik Holder to run for the Democratic nomination in 2012 - that would, of course, be the Weiner-Holder ticket!!!! Back to 2012 for a second: imagine if Weiner went-cross party and his running mate was Peter King...then we'd have the Weiner King!